MOSCOW, May 3. /TASS/. 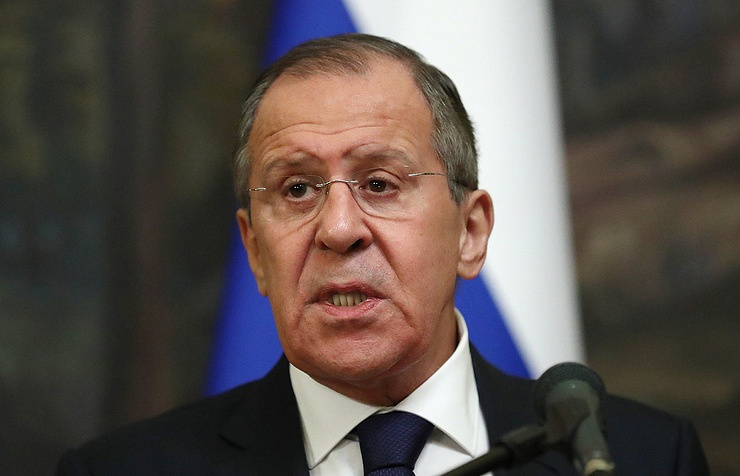 Ukraine has actually lost its independence and national economy due to the internal crisis provoked by some Western countries led by the US, Russian Foreign Minister Sergey Lavrov told Italy’s Panorama magazine. 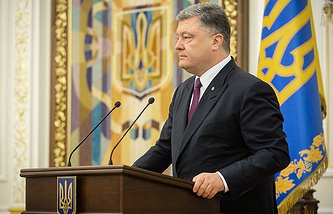 "For many years, attempts were made to force Kiev to make a false choice, ‘either with us or against us,’ between the development of cooperation in the East or in the West, which has eventually resulted in the collapse of the Ukrainian statehood, which has never been particularly strong. The result as of today is the de facto loss of independence, people’s suffering, the collapse of the country’s economy, which had every opportunity to become one of Europe’s most stable and strong," he said. According to Russia’s top diplomat, "a group of Western states led by the US who consider the entire world a sphere of their influence, claiming to be exceptional and dividing peoples into us and them" are responsible for the internal political crisis in Ukraine. Lavrov also pointed to a dramatic change in NATO’s line, which prior to the coup urged then Ukrainian President Viktor Yanukovich to refrain from using the army against protesters, while after the coup "it started calling on the putschists who illegally seized power to use force ‘proportionately’ against the regions that disagree with them." "There is nothing pro-Ukrainian in the West’s policy, everything is anti-Russian. We can see that for the US and some of its allies all the talk about creating a single space of peace, security and stability in the Euro-Atlantic region was just a cover-up for continuing the archaic practice of seizing geopolitical space, moving dividing lines to the east, both through NATO’s expansion and as part of the implementation of the EU’s Eastern Partnership program, "Lavrov concluded.